Beautiful teeth and a healthy smile are important for helping patients of all ages look and feel their best. 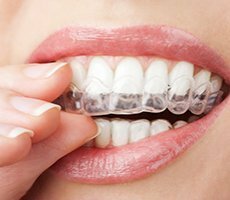 As a leading dentist in Chattanooga, TN, Dr. Chris Robertson is skilled in cosmetic dentistry techniques aimed at correcting an array of aesthetic issues in patients at Chattanooga Dental Studio. Cosmetic dentistry focuses on all the treatments and procedures that can help patients enjoy more attractive, healthier-looking teeth and smiles. While some cosmetic procedures are performed purely for the aesthetic improvements they provide, other procedures also may provide an improvement in oral health as well. What treatments and procedures are included in cosmetic dentistry? Some patients can achieve the results they want with a single procedure, while other patients may benefit from a complete smile makeover, a carefully constructed, custom treatment plan that corrects multiple issues to help patients feel more confident in their appearance. How can cosmetic treatments improve my oral health? How can I tell which procedures will help me achieve my goals? During the office visit and consultation, patients will be asked to describe the problems or issues they have with the way their teeth look, and a “tooth-by-tooth” and whole-smile evaluation will be able to identify the treatments that can help each patient achieve the end results they’re looking for. That depends on the specific insurance plan, but generally, procedures that provide a benefit other than aesthetic improvement may be at least partially covered. Our office staff reviews patients’ benefits prior to treatment and can help identify financing options to help make the cost of treatment affordable.